Shairbek Dzhuraev is Marie Curie Fellow at the School of International Relations of University of St Andrews. He previously served as Deputy Director at the OSCE Academy in Bishkek, Director of Central Asian Studies Institute at American University of Central Asia, as well as Dean of Academic Development and Chair of International and Comparative Politics Department of the same university. Shairbek holds MSc in International Relations from London School of Economics (2005) and BA in International and Comparative Politics from American University of Central Asia (2004). 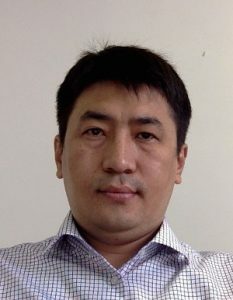 His current research project is on the foreign policies of small states with a particular focus on Georgia and Kyrgyzstan. Other areas of research interests include post-Soviet political regimes, political parties and issues of water and energy in Central Asia.